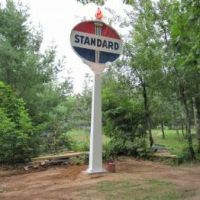 I just cant believe the prices the fake standard oil pump plates are brining. I don't do e-bay anymore and that just finalized it for me. Tons of repop pump plates brining big money. And no way of letting people know ahead of time about these.